About EXIT Real Estate Associates Honolulu Hawaii Honolulu Hawaii Real Estate; Search Properties and Homes for Sale in Waikiki, Windward Oahu, and Honolulu County Search MLS listings for Honolulu, Hawaii; Oahu real estate market news, specializing in sales, marketing, exchange, and management of investment properties in Waikiki. EXIT Real Estate Associates is located in Waikiki. Request showings and details by contacting Theresa Harden at (808) 735-2221 or toll free at (800) 768-1319. Aloha and mahalo for visited our EXIT Real Estate Associates website. 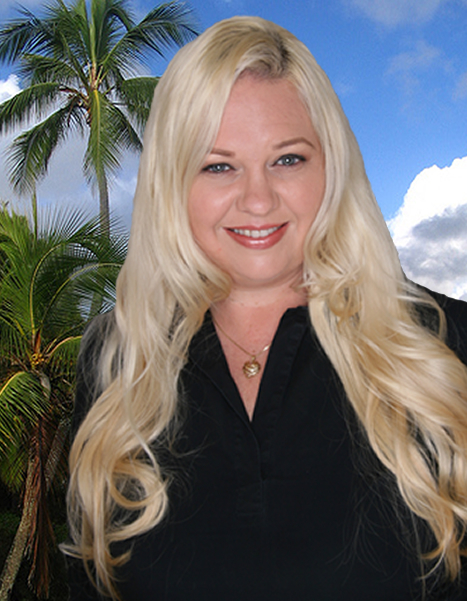 My name is Theresa Harden and I am the Principal Broker of a real estate sales, marketing and management team located in the heart of Waikiki on the ground floor of Kuhio Village. Our doors are open to Kuhio Avenue and we welcome you to pay us a visit to chat about the market or learn more about our services. Since 1999, I have been providing real estate services to the Oahu community. Myself and my agents have received numerous Aloha ‘Aina Award nominations including one winner in 2012. The Aloha ’Aina Awards program recognizes Realtors and Realtor Associates who show respect for the ‘aina and their commitment and dedication to their clients. My team and Staff all strive to enrich people’s lives through real estate. Whether you are selling or buying, we work to maximize our Client’s bottom line. We specialize in sales, marketing, exchange and management of investment properties. As EXIT Real Estate Associates has grown over the past years so has the number of nominees with seven amazing REALTORS® receiving nominations in 2016 including Sue Connelly (R), Rebecca Fagassa (RA), Theresa Harden (R), Michael La (RA), Diana Lindsey (RA), Luise Palaita (RA), and Lien Tyler (RA). EXIT Real Estate Associates is an EXIT Realty Corp International franchise that is independently owned and operatedby Hawaii Dream Realty LLC. All our agents are licensed by the Honolulu Board of Realtors and are members of the National Association of Realtors, the Hawaii Association of Realtors, and EXIT Realty Corp. International. EXIT Realty Corp. International is a full service real estate franchisor that opened for business in Toronto, Canada, on September 3, 1996, and in record time, expanded across North America and across the Pacific where EXIT Real Estate Associates operates. We recognized that the EXIT Realty Corp International's business model and culture was consistent with Hawaii values. We leverage the tools, training, and resources provided by EXIT Realty Corp International to remain competitive in Hawaii's real estate market. We are proud to offer EXIT's rewarding formula to the Honolulu real estate community. EXIT Realty Corp. International earned a Distinguished Honoree medal in the category of “Most Innovative Company in North America” by the International Business Awards, the only global, all-encompassing awards program honoring great performances in business.